When searching for good commercial loan financing, there are a number of different options that you could take. When you are dealing with a commercial lender, you want to make sure that you are getting the best deal. If you agree to something prematurely, you could end up regretting it later. Many of the terms of a commercial loan are negotiable so you will want to do your best when negotiation during the loan process. This can save you some substantial amounts of money and give you terms that you feel comfortable working with. Here are a few tips for negotiating during the commercial loan process. When you are negotiating for a commercial loan, you need to stick to your guns. Do not waver from what you want. The lender needs your business a lot more than you need them. There are many lenders that you could potentially go with, so do not hesitate to threaten to leave if you do not get what you want. You may have to concede a few things here and there, but overall, you should be able to get what you want. The trick is to not waver on your requests and just keep asking until you get them. One of the oldest negotiating tactics in the book is being silent after an offer and it still works today. When you make a counteroffer on a particular term in the loan, you just sit silently until they answer. Sometimes, this tactic can result in some pretty awkward silences. They may be thinking about whether or not they intend to accept the offer. However, many people interpret that incorrectly and come back with another offer right off the bat. When you experience silence, do not come back with a different offer just to break the awkwardness. Just wait until they say something, good or bad. Then you can make the appropriate adjustments to the offer. Do not be the first person to speak after you make an offer. One great way to get what you want is to shop around. 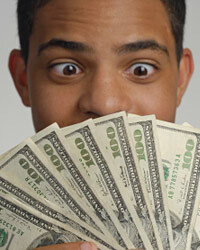 When you shop at multiple lenders, you will have a much better chance to get what you want. Go to a number of different commercial lenders and see what they have to offer you. When you find one that you want to work with, use your shopping as leverage in negotiations. The commercial lending business is very competitive. If you let them know that you are shopping around and have some estimates, they will be much more likely to accommodate you. Use the other lender's estimates as a way to leverage yourself into a good deal. For example, one lender might have lower closing costs than the other. Ask the lender that you are working with to match or beat the other lender's closing costs. Sometimes it works and sometimes it does not, but it never hurts to try.